What do you think it would have been like to actually witness Jesus on the cross? This comprehensive study of the Passion week assures that you will experience Jesus in a new light. Amazing, rare biblical facts are presented here in a way that draws you nearer to Jesus. Does your faith need a boost? You've come to the right place. Try to do one study per day for the next few weeks. Below, you will find 17 FREE Online Bible Study Lessons that focus upon Jesus at Calvary, which represents the ultimate power of God. Old Testament prophecies about Jesus Christ's death were written to help prepare people for witnessing the sacrifice of Jesus on the cross. They were also written so that people today may believe in God. Bible Prophecies Fulfilled, Lesson 3.01. We're going to dig into the facts of the brutal torture and inexpressible murder of Christ, so we clearly understand what this amazing sacrifice meant to us. We'll start this awe-inspiring series by reliving Jesus' triumphal entry into Jerusalem at the start of Passover. He rode into town with applause, but he walked out with a cross. This lesson will increase your admiration of our King Jesus! 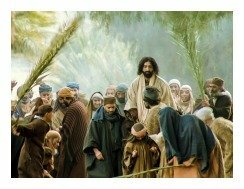 Jesus' Triumphal Entry: Meaning Of Palm Sunday, Lesson 3.02. Jesus' last supper with his disciples was rich with important facts. Many of their ideas and traditions would be turned upside down by their Master. Many surprises await. Do you want to know where communion started? It's one of the great discoveries found in this lesson. Join me! Jesus' Last Supper, Lesson 3.03. Jesus praying in the garden opened Mel Gibson's The Passion of the Christ movie. Is that not one of the most powerful moments in cinema history? I'll take you into the story deeper than Mel possibly could, although he did a tremendous job! I know you've heard of a cup of soup and a cup of joe, but have you ever heard of Jesus' cup of wrath? You'll learn about it here! Jesus Praying In the Garden, Lesson 3.04. Judas' kiss of betrayal immediately prior to Jesus' arrest was a huge but short-lived victory for Satan's evil kingdom. Satan soon would have Jesus on the cross, right where he wanted him, he thought. There are great mini-lessons found within this thought-provoking Bible study lesson. For instance, you'll find out if all of Jesus' disciples are saved. Judas' Kiss Lesson 3.05. Jesus' arrest brought us one unique miracle of Christ's and some tremendous life lessons. We'll learn if it's really possible to love your enemies. We'll also learn the fate of those who "live by the sword." Jesus' Arrest, Lesson 3.06. The Sadducees, Pharisees and scribes usually didn't agree on matters. One thing they did agree upon, though, was that Jesus had to be crucified. They all wanted Jesus on the cross. 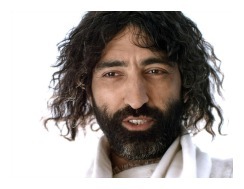 Did the Jews kill Jesus? That will be one question among many that is answered in this lesson. Sadducees, Lesson 3.07. Peter is my favorite disciple, because he was always bold enough to speak his mind. But, when Peter denies Jesus and reveals his true faith, he loses a bit of esteem. Can you imagine the shame Peter must have felt when Jesus peered at him after the denial? Mercy. Let's learn all about the moment when Peter Denies Jesus, Lesson 3.08. All eyes were watching Jesus before Pilate at the unfair trial. We will be well served by taking a moment to discuss Jesus' trial, just so we know how unlawful it really was. My favorite part of this lesson, though, is discussing the importance of ultimate truth. Jesus Before Pilate, Lesson 3.09. 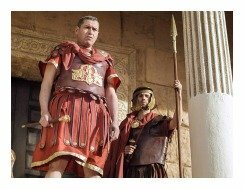 Pilate thought he outsmarted the Jews when he sent Jesus to King Herod. Unfortunately, that wasn't the case. Let's deeply study the interesting ordeal when Jesus stood before Herod Antipas. Lesson 3.10. The mocking of Christ was a human attempt to humiliate him. The scourging of Jesus was meant to disgrace him. Jesus' crown of thorns was but another human attempt at painful mockery and public disgrace. The Roman guards also forced him to drag his heavy, rustic cross to the hilltop. Hanging Jesus on the cross was humanity's final blow. We'll discuss some interesting details about the utter depravity of mankind in this revealing study. Scourging of Jesus, Lesson 3.11. The crucifixion of Jesus Christ was a horrible sight, but a necessary God-ordained event. Satan FAILED. People FAILED. God PREVAILED! Jesus on the cross - it means everything to you and me. It's important to study this amazing act of love. Crucifixion of Jesus Christ, Lesson 3.12. Jesus didn't waste his final precious breaths on the cross, so we know that the seven last words of Christ had to be extremely important. This is an engrossing Bible study which will leave us in awe of the Lamb of God. Seven Last Words of Christ, Lesson 3.13. Jesus' body and blood have significant symbolical meaning to the life of believers and the church. We'll take a deep look into this subject, and remove the confusion. Join me for a fantastic look at this critical element of Jesus' sacrifice. Jesus' Body, Lesson 3.14. The site of Jesus' tomb began a new chapter in his life. It was empty two days after he was buried! But before we look at his resurrection, it has to be asked, "Did Jesus go to hell?" We say it in our creeds, but is it biblical? You'll LOVE these hope-building lessons! 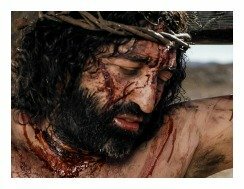 Did Jesus Go To Hell? Lesson 3.15. Jesus' Empty Tomb, Lesson 3.16. Finally, after the terrible ordeal that found Jesus on the cross, he appeared to the disciples! They were shocked and overjoyed. They believed it one moment, but couldn't grasp it the next. He walked with them and ate with them. But, Jesus had changed. He wasn't the same anymore. He had been glorified for his heavenly home with his Father. There is a ton of deep things to learn about Jesus and our own resurrected bodies in this exciting lesson. Jesus Is Risen! Lesson 3.17. 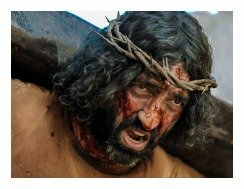 Special Note: I'm grateful to Big Book Media & Free Bible Images, Stock Exchange, Morgue Files, and Stock Photos For Free for the use of their photos for Jesus on the Cross Bible study series.